setting of measures and control indicators to monitor success and identify areas for progress. Mycon's range of organisational development services and advice include: Training, Structure, Staff Recruitment, Software and Systems. 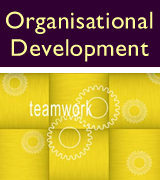 We take pride in our international reputation for delivering organisational development and change at all levels through high impact workshops, training services and single issue coaching that maximises understanding and knowledge retention, including advanced, intensive marketing workshops for senior managers.